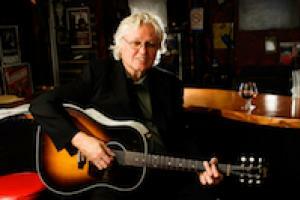 Songwriters Hall of Fame 2016 inductee Chip Taylor has been writing and performing for nearly 60 years and shows no sign of slowing down. The New York Times says it best , “If you only know him as the as the guy who wrote ‘Wild Thing’ and ‘Angel of the Morning” — you don’t know him! Chip Taylor is making some of the most distinctive acoustic music around today.” A Song I Can Live With is his latest work of timeless genius. Sweden's foremost music site, Rootsy.nu says that The songwriting and the performance has reached another level. It's low key, the arrangements are sparse, yet it's so powerful and packed with emotions. Joy, sadness, melancholy, a sense of humor. And an abundance of compassion and humanity. It's an album I will treasure forever. It will have a special place in my record collection, next to Bob Dylan's "Time Out Of Mind" and Leonard Cohen's "You Want It Darker". 2015's The Little Prayers Trilogy, was among the best-reviewed album of his long career. Mojo called it "a masterpiece while Uncut said it was the ”Crowning glory of a storied career” and placed it on its Best of 2015 list. Country Music People gave it ”Five stars .. nothing comes close.” A Song I Can Live With is a companion piece to last year's Little Brothers, a charming and intimate collection, and Taylor will featuring songs from his recent albums, as well as the Grammy-nominated Yonkers NY (2009), his classic hits and fascinating stories from a remarkable life. As Taylor’s muse continues to fire on all pistons, musical tastemakers agree that fans and listeners should tune their ears into the continuing creativity of a true musical master. “If names like Willie Nelson, Guy Clark, Kris Kristofferson and Townes Van Zandt mean anything to you, you should make a point of discovering Chip Taylor,” urges critic Anthony DeCurtis. “Whether you know it or not, he’s earned his way into that exalted company.